After a $550 million transformation of the former Monte Carlo Resort, now known as the Park MGM, the newly opened hotel is a far cry away from anything else you’ve seen in Las Vegas. While Sin City is in a world of its own entirely, the softly lit chandeliers and a fresh coat of paint with sage-green trimmings in this hotel have changed the mood entirely. 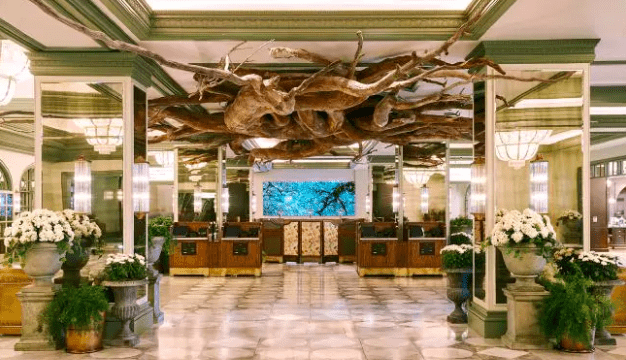 While that is just the foyer of the hotel, the design features once you have checked in is where most of the costly transformation has taken place. The 2,700-room luxury resort has been decorated with a vibrant color palette of sage greens and deep purples, with brass trimmings for the final touches. While this hotel sits along the Las Vegas strip, many could mistake the designs for a luxury European hotel. Sydell Group and MGM Resorts partnered with acclaimed British designer, Martin Brudnizki for the transformation, and he worked his magic from the interiors of the rooms, all the way to the pool areas. Guests can choose between three pools, sip cocktails from one of the two pool bars, and dine at the hotel’s French fare bar, Primrose. The brass trimmings seen in the interior of the hotel rooms are also found throughout Primrose, lining the bar and lighting fixtures. 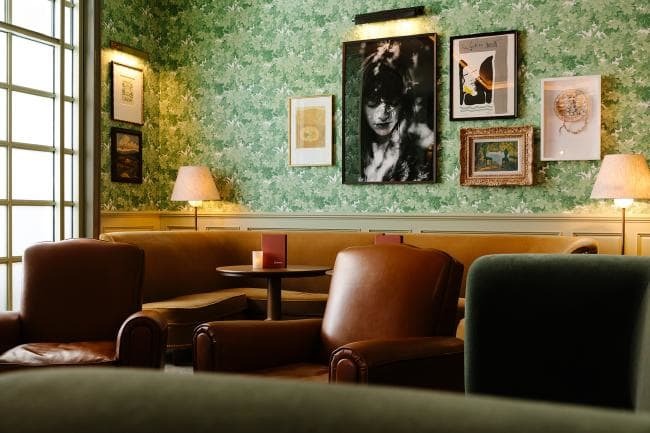 The space in the room, however, is decorated with leather furnishings in tan, mustard, and chocolate brown, and the walls are covered in leafy green wallpaper. While this transformation may have cost the hotel groups half a billion dollars, this also accounts for another hotel set to open later this year under the same roof. 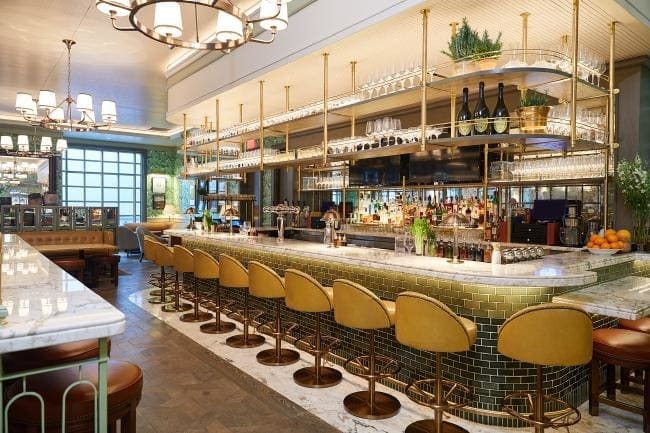 NoMad, one of New York City’s most talked about hotels, is coming to Nevada and will set Park MGM away from the rest on the Sin City strip once again.